2014 is an interesting year for Sony’s long running MLB: The Show franchise in more ways than one. The MLB 2K series has been officially discontinued, making MLB 14: The Show the only simulation baseball game on the market this year. Also worth noting about MLB 14 is the fact that this year represents a generational leap for the series as it makes its way to the Playstation 4. Unfortunately, the PS4 version isn’t getting a simultaneous release with the PS3 edition, so we’ll have to wait to see how that transition goes. As for right now, the fact that the series has no competition and is being stretched across two generations may be a bit worrisome for fans hoping for the same quality that has come to be expected, but luckily this year’s installment is as good as ever. As we’ve seen with Madden since it locked up the NFL license, a lack of competition can be detrimental to the quality and year-over-year improvement of an annual sports franchise. However, when Madden became the only football game on the market it was at a time when many considered its competition (The 2K series) to be the superior offering. 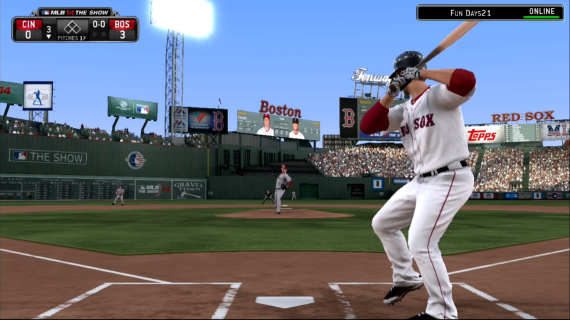 With MLB, The Show has been widely considered the cream of the crop for many years, with the 2K series largely surviving as long as it did because it was the only baseball game on Xbox systems. While it’s certainly too early to tell if the annual improvements and refinements for The Show will slow down without competition, the foundation the series already has means it’s not as though the quality is going to drop immediately. 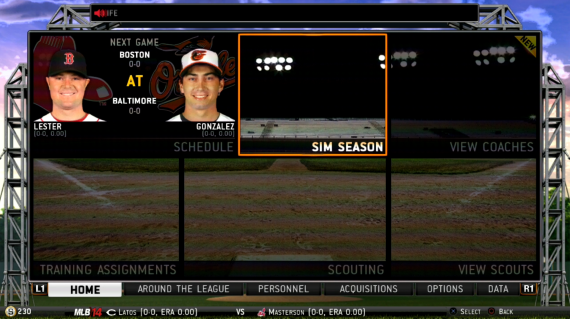 In that regard, if you’re familiar with the series at all you’re going to be very familiar with MLB 14. With sports games the amount of additions and improvements from year to year can vary greatly, and given that the series is moving up to the Playstation 4 this year it’s not all that surprising that this is one the lighter years in terms of new features. There aren’t any huge additions this year like Diamond Dynasty in 2012 or the new motion and analog control options in 2011. One of the few new features is quick counts, but it is an utterly worthless addition. While it successfully shortens game times buy starting every at-bat in the middle of the count, the addition of frustrating randomness that diminishes player skill makes it a less than ideal solution to quickening the pace of play. In terms of control schemes and modes of play, MLB 14 doesn’t feature anything beyond what the series has had in the past, though there are some slight improvements to what is already there. The marquee mode remains The Road to the Show, and it’s just as in depth and addicting as it has ever been. For those that are unfamiliar, Road to the Show puts you in control of a rookie entering the MLB draft and journeying from AA to the Majors with the ultimate goal of being inducted into the Hall of Fame. The mode is largely the same, but there are a few nice improvements. 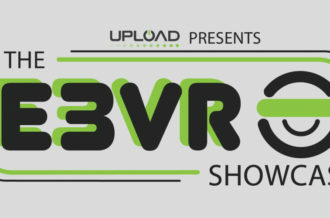 As you begin, rather than being selected by a team at random, you take part in the three game amateur showcase as the scouts look on. Your performance in these games can either improve or decrease your draft stock, and once you complete the amateur showcase, you actually witness the draft. Waiting for your name to be called is an oddly nerve wracking experience, bringing a sense of drama to the mode that was missing in the past where you were simply assigned to a team. The expansion of the pre-draft experience is nice, but the best improvement made to Road to the Show is the removal of advancement goals. Gone are the days of being a triple crown candidate but getting benched by your manager because you only drew 5 walks in a week rather than the goal of 6. Now, your playing time and advancement are determined strictly by your player’s attributes and your overall performance, rather than arbitrary goals. This removes the unrealistic feeling of cheapness that accompanied being punished for not completing goals even if you were putting up monster numbers, and makes the entirety of Road to the Show a much more enjoyable experience because of it. The other main modes, Franchise and Diamond Dynasty, haven’t received nearly this degree of game changing improvements, but both are still enjoyable. Diamond Dynasty is the persistent online team building mode, and it still has that potential to be a dark black hole that devours hours upon hours of time. There have been some minor tweaks to the economy, but on the whole Diamond Dynasty is largely unchanged. Franchise mode is basically the same as well, though the inclusion of many franchise mode elements in online leagues brings some of that depth to online play, which is welcome. On the topic of online play, there have been some improvements in this area as well, but maybe not enough. 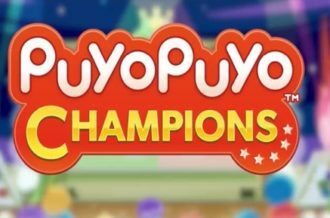 The most obvious change is the addition of a ranking based matchmaking system which aims to remove the hassle of sending and receiving challenges and always match you against players of a similar skill level, which it succeeds at doing. However, the biggest problem with online play is one that has been an ongoing one; it simply lacks that feeling of responsiveness and smoothness you’d want. 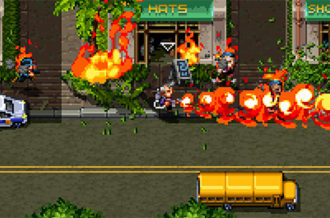 As far as playability is concerned, online play works mostly fine, but it always looks jittery and delayed. The game does a poor job of hiding the latency, and while the important things are handled client side in order to keep the game playable, everything just looks and feels bad the majority of the time you’re playing online. Despite the rough edges of online play, the game otherwise plays beautifully. The Show has always had one of the most realistic and authentic baseball simulation engines, and this year’s game is no different. The core of baseball, the battle between pitcher and hitter, is where The Show really shines. There are numerous optional control schemes for every aspect of the game, and no matter which you prefer you’ll find a game that absolutely nails pitching, hitting, and fielding in every way that matters. When you throw a bad pitch or swing and miss it always feels like it is was your own fault, making the game feel very skill based. It’s entirely possible to identify pitch type and location as a hitter, eliminating that feeling of blind luck so many baseball games have had in the past. 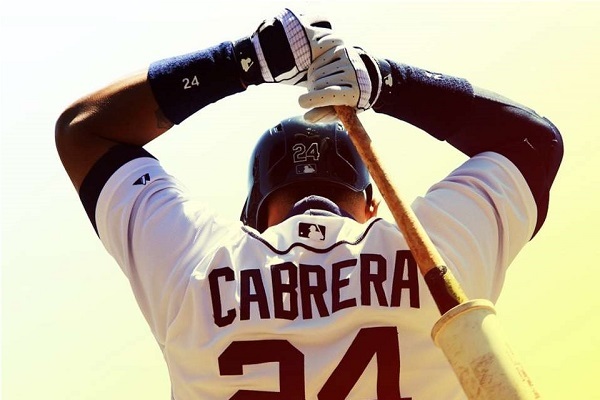 In short, MLB 14: The Show is another in a long line of exceptionally well playing baseball games, and even if you stripped away the secondary features and addicting game modes, at it’s heart The Show is a phenomenal baseball game. Along with its fantastic gameplay, The Show has long been recognized for its outstanding presentation, and in this area it’s hard not to look ahead toward the PS4 version and get the feeling that’s where all the effort went. 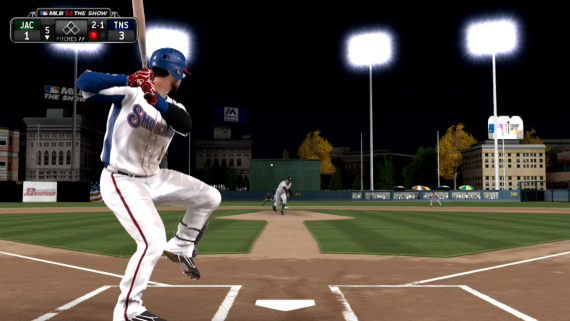 Visually, MLB 14: The Show on PS3 looks pretty much exactly like the past several installments in the series. While it’s always been a good looking series, with new consoles available and the PS4 version set for release in a month it’s hard not to see it as a last generation game. Of course it still looks quite good for a PS3 game, but it’s far less impressive knowing what’s coming. The commentary is still up to the same standards the series has established, though you’ll notice many recordings from previous years are still being used, and there is of course the unavoidable repeating dialogue. The same complaints the series has always attracted still apply here, like commentary that shows its stitching a bit too much and very specific and impressive exchanges that are inevitably ruined after you hear them over and over.